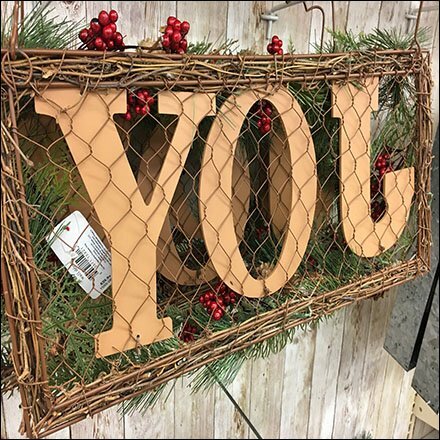 No, this Joy According to JoAnn Fabrics and Crafts is not the result of improper merchandising, planogramming, or an inability to understand proper use of All Wire Display Hooks. This reversed display of the word Joy was by a JoAnn’s shopper in a hurry. Normally this would be a retailer aggravation. But here it actually draws attention to the overall display with one’s first question being “What language is that?” It takes only an instant for a nimble mind to translate “YOJ” into “JOY.” And that split second is engagement with a customer. Yes I reversed the “Joy” to take a look … then put it back the way I found it for a more interesting effect.